With the surprise release of their ninth album, the lawsuit-nudgingly titled “Star Wars,” Wilco have entered another new chapter in their career. Most bands won’t have as many phases as this over only nine albums, but most bands aren’t Wilco. From Texas blend alt-country, to Chicago migraine-imitating noise rock, to a restless feeling of “dad” music, Wilco have managed to separate and reflect on their influences individually, based on the times. And with no bad albums under their belt, there’s a lot of ground to cover if you’re just getting into them. 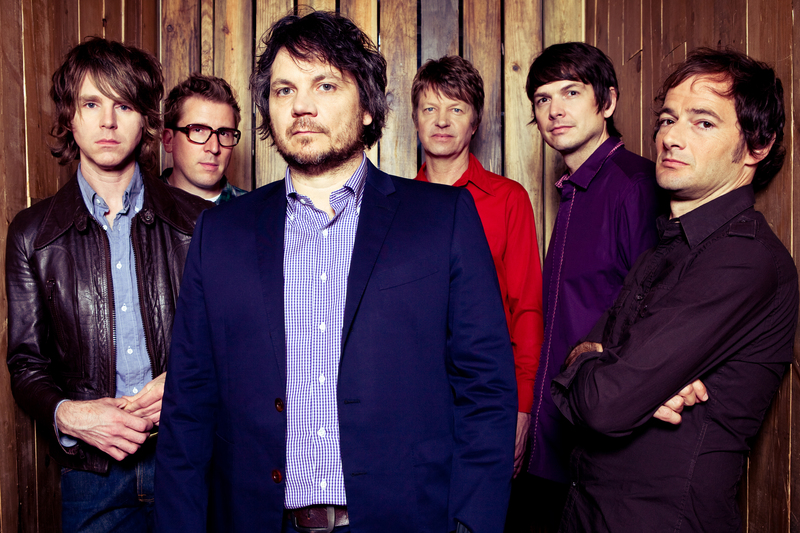 So I’m here to help – below is a Spotify playlist of 10 Wilco songs to get you started. Because picking 10 good Wilco songs could basically be done by just throwing 10 darts at a list of their music, I’ve limited my personal picks and leaned heavily on what I feel are their objective best works. One of the earliest great Wilco songs, “Misunderstood” shows the band already tempting their audience with an avant-garde sound. 1996’s “Being There” was the band’s second album, and one that established them as an alt-country group worth watching. But the leadoff track has a heavy, restless guitar line amidst its piano and country rhythms. It was a sign of what was to come, and is still a live staple to this day. 2008’s “Wilco (the Album)” saw the band poking fun at their diverse discography by embracing all of it at once. A weaker release in their discography, but still a fun insight into a band looking back at themselves. Another leadoff track, “Wilco (the Song)” is a quick, catchy guitar ditty reminiscent of their “Summerteeth” era transitional period. Though simplistic, it’s both indicitave of the band’s power on the indie front, and a song that never gets old. Definitely one of Wilco’s best songs is a showcase for Nels Cline. In between “A Ghost is Born” and 2007’s “Sky Blue Sky,” Wilco drafted legendary jazz and noise rock guitarist Nels Cline and let him show off here. The song follows a “Marquee Moon” trajectory – a song they’ve covered live – by starting as a standard rock song, with cryptic lyrics, before devolving into a very lengthy guitar solo. And just like the Television song, the best part of the solo is when the rhythm guitar line develops on it’s own. And despite it all, “Impossible Germany” manages to have a relaxed, calming tone to it. A modern guitar odyssey. The legend of Wilco’s utter struggle and total redemption recording 2002’s “Yankee Hotel Foxtrot” has been extremely well-documented, so here’s just a quick rundown – band members came to blows over the album’s significantly more noisy, abrasive and unpredictable sound, and from the time recording started to the album’s release, two members were replaced. Meanwhile, Reprise Records rejected the album, as even Wilco’s more radio-friendly work wasn’t selling. They asked for the rights to their music back, which Reprise gave for free. Wilco then sold the album to Nonesuch Records – another Warner Bros. subsidiary, who released it. The album, which was originally slated for release on 9/11, eventually came out on 4/23/2002, with the band touring with a different line-up than on the album. But it has gone on to become Wilco’s most successful album, and a certifiable indie classic. Picking just two songs from the album for this list is nearly impossible, but this song is both the album’s most abrasive and catchiest song, an example of how well they’ve become at blending the two. Over a decade after “Yankee Hotel Foxtrot,” we’ve got Wilco feeling restless again. Their new album “Star Wars” is their first fun album in a long, long time, and shows the band refusing to mature and settle into a “dad-rock” sound that they’ve been on the fringe of. While the album is filled with guitar-heavy ditties, the best songs are ones like “Where Do I Begin,” which start like previous midtempo Wilco songs that give the aura of “Okay, they got that out of their system,” before suddenly switching gears. “Where Do I Begin” stops suddenly and lets a jazzy drum line come in and wrap up the song, all in under three minutes. Look, no band is perfect. No band knows this better than Wilco. Back before they had nine albums, Wilco once did a multi-show run in their now-hometown Chicago where they played every song in their discography over a few nights. There were some that Tweedy apologized for and complained about them being too boring. To me, “Via Chicago” is one of those – a centerpiece of “Summerteeth” that’s a dull ballad. But this live version from “Kicking Television” again highlights the way Wilco have an eye for warping and changing their music, by incorporating three sudden, sweaty noise build-ups amidst the original version. It’s a shock. Bonus: watch the video, where Tweedy calmly plays his acoustic guitar, totally ignoring the insanity around him. “Walken” is a live staple for Wilco, even though audiences usually seem lukewarm to the band playing it. I don’t get it – it’s one of the most fun songs in the band’s discography. With semi-meta lyrics surrounding a country guitar line and jazzy drums, it’s an amalgum of Wilco’s interests. And, as a part of “Sky Blue Sky,” it’s Nels Cline-heavy. “Walken,” with no actual relation to the actor, is an upbeat track with a number of different things going on at once, and shows how well the band works together, especially with their current long-running line-up. I’ll be upfront on this one – I’m not really a fan of Wilco’s fifth album, “A Ghost is Born.” Tweedy adapted even more of a lead role on the album, playing lead guitar for the first time in the band’s run. The album, the follow-up to “Yankee,” follows the unpredictable tone but is significantly darker, with Tweedy taking inspirations from his lifelong migraine problem, which had been getting even worse. Wilco’s most infamous song, “Less Than You Think,” is a 15-minute electro-drone song that is supposed to mimic a migraine (an interesting piece that’s extremely out of place on a Wilco album). Still, the album has some great tracks, like this surprisingly catchy low-key one. It’s a rare Wilco song that would fit on any album. There’s really no saying where Wilco will go next, but given their track record, it’s likely to be something they haven’t done before – and it’s probably going to be great. By Andrew McNally, who has loved Wilco for many years but has sadly only seen them once.